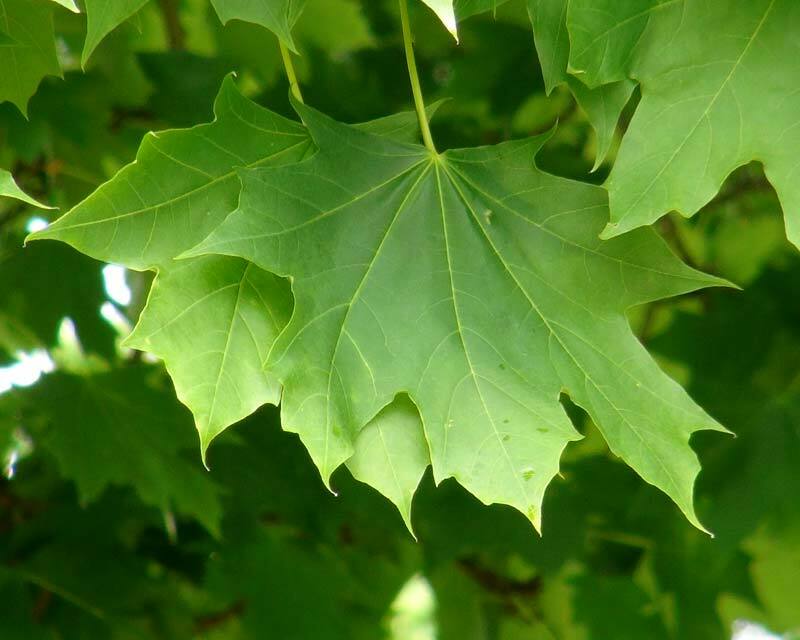 Acer platanoides or the Norway Maple is a large round headed deciduous tree, growing up to 20 metres in height, that really prefers cooler climates. 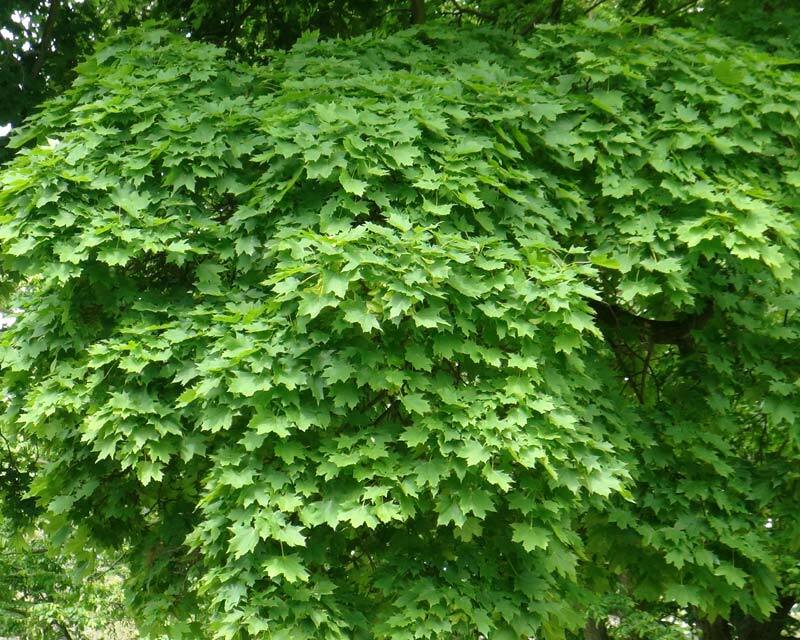 It has browny-grey bark that is slightly fissured but not overly shaggy as per other Maples. 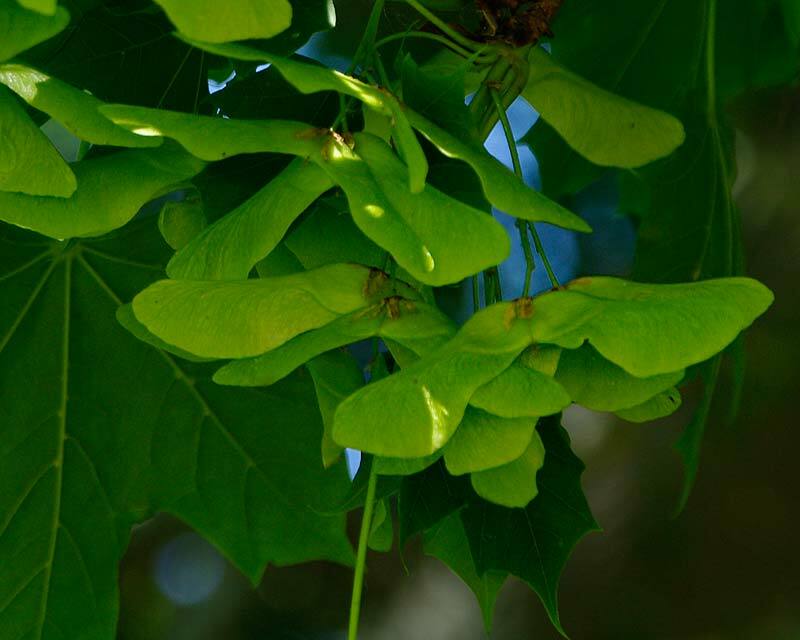 Acer platanoides can have either green or purple leaves that are quite deeply divided with smaller 'side teeth' between each lobe. 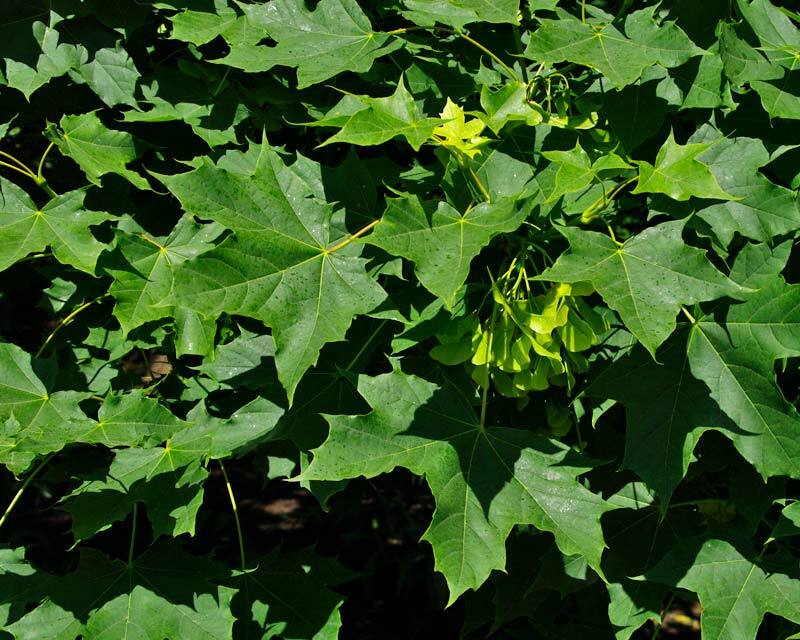 The flowers are yellowy green, blooming in early spring before the foliage emerges. These mature into double samaras made up of two winged seeds. 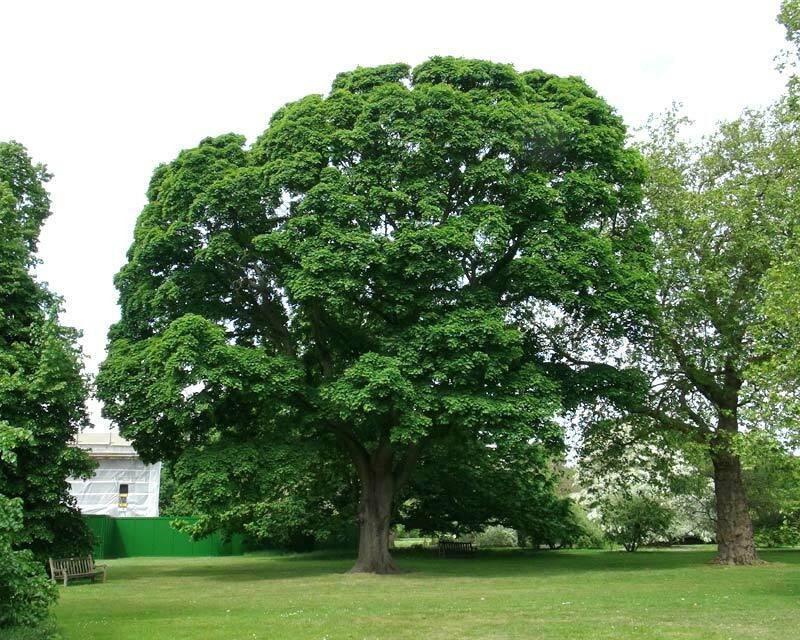 Often seen as street trees in North America, they are prone to storm damage due to the wood being relatively brittle because it is such a fast growing tree. However it does make good furniture. Soil: Prefers organic materials rich soil though will grow in most soil conditions, even compacted soils. Don't try planting anything close by however as the surface roots will starve competitors for nutrients and water. Maintenance: Does not like full sun in warmer climates - the warmer the climate the more shade it needs. Keep up the water in warm seasons. 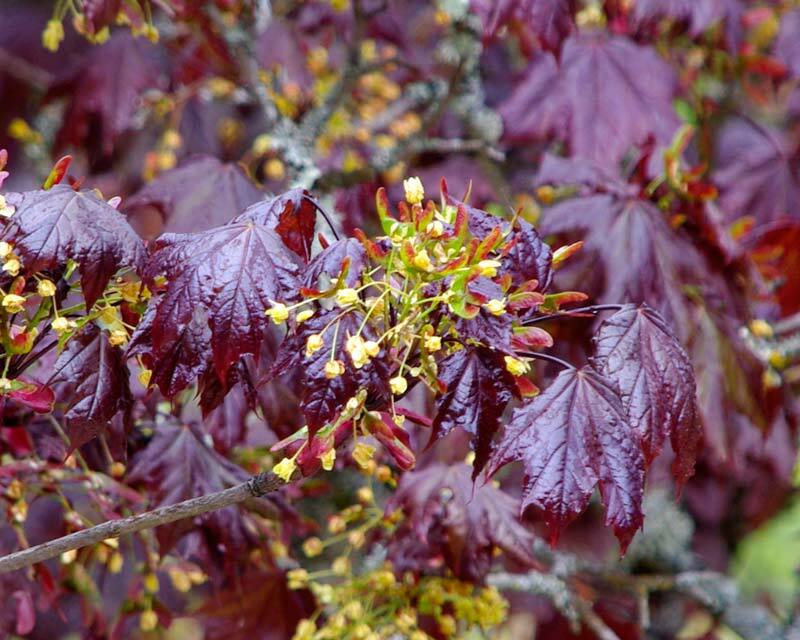 Other Species: A. rubrum - the red maple, A. palmatum - Japanese maple amongst many, many others. 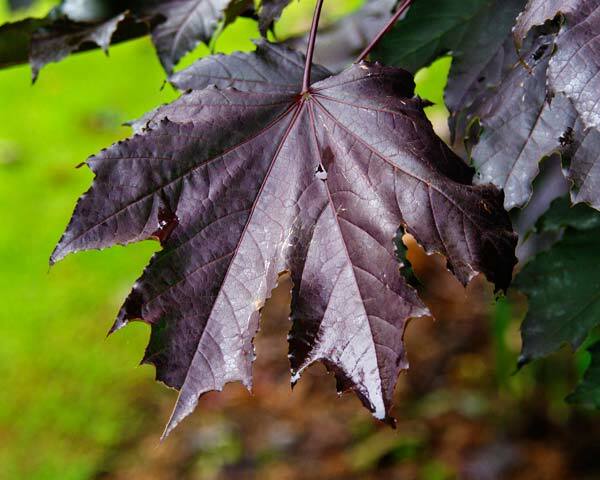 Many cultivars are available including 'Crimson King' which is purple leaved and a variegated leaf in Acer 'Drummondi'. Comments: Splendid trees if you live in a cooler climate and excellent for bonsai. 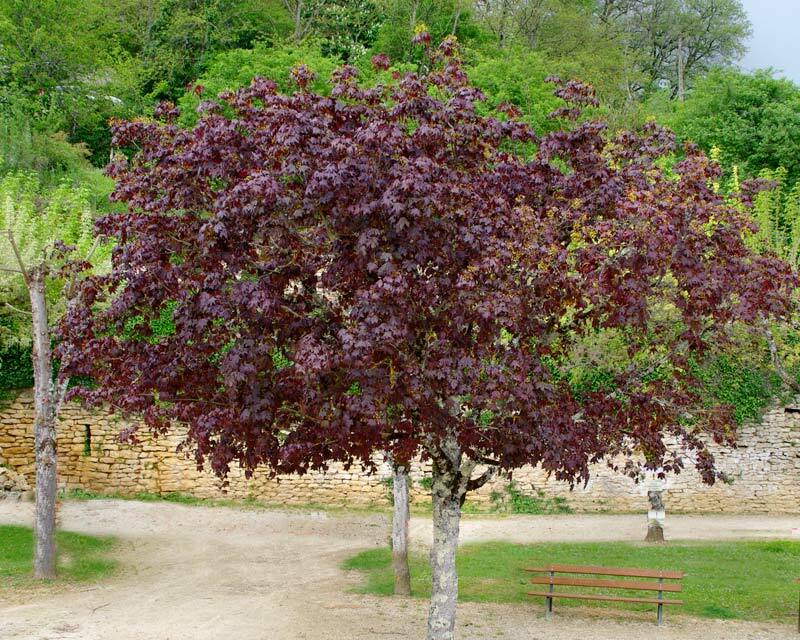 The purple or bronzed variety, call Acer platanoides Crimson King.